I notice that on the high end boats the windshield is tilted inward Why is this ? I see it on ships too? Speed (wind) + gravity will drive water down/off the window. 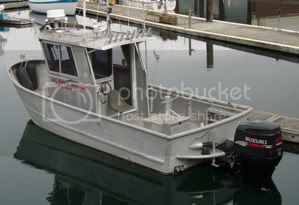 I have been that told one of the main reasons for the "Pilot House" windshield, which is tilted in at the bottom, is if you take a bunch of water over the bow a Pilot House windshield is less likely to be broken. Don't know if this is really true - I have taken a lot of water over our bow with no effect of the windshield. Another reason - It looks way cool! Heat factor in PH when sunny! Is another. Know of a Parker that had it's window blown out. Which way does that tilt? Parkers windshields have the normal front slope. They also open outward from the bottom. Very pleasant in warm weather.